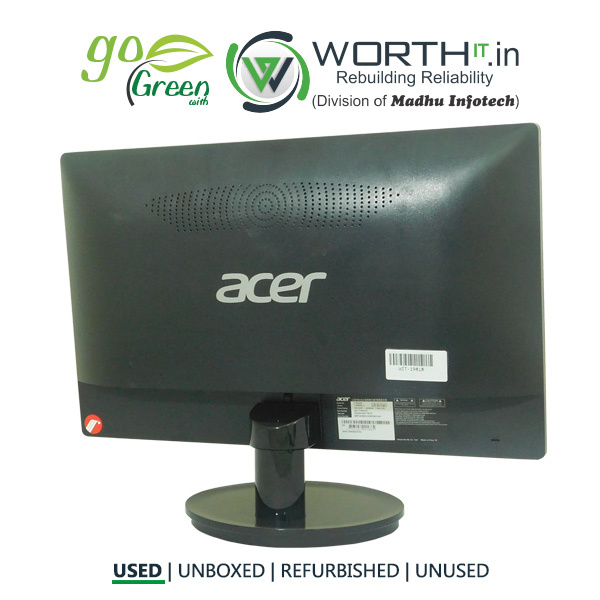 Monitors Acer TFT-T1900HQ-18.5LCD The Acer T1900HQ 18.5-inch LED Monitor comes with high-quality resolution, which makes browsing the Internet or playing online games fun. 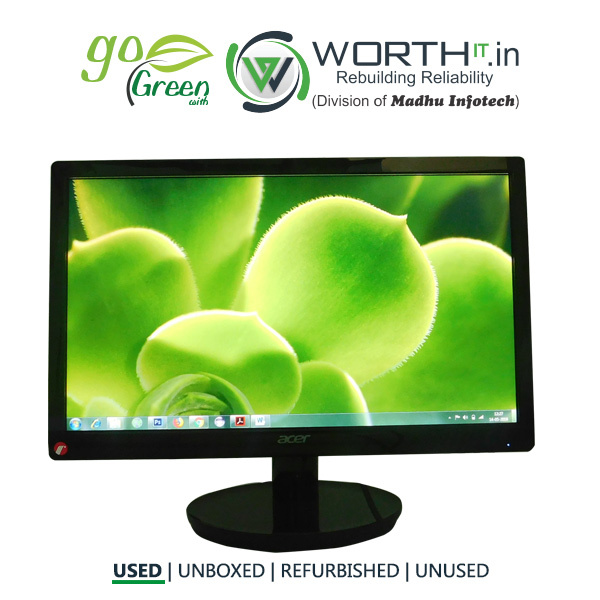 This 18.5-inch LED monitor has a maximum display resolution of 1366x768 pixels that offer crystal-clear viewing of movies and sports. With a user-friendly and stylish design, it allows easy operation and quick installation. 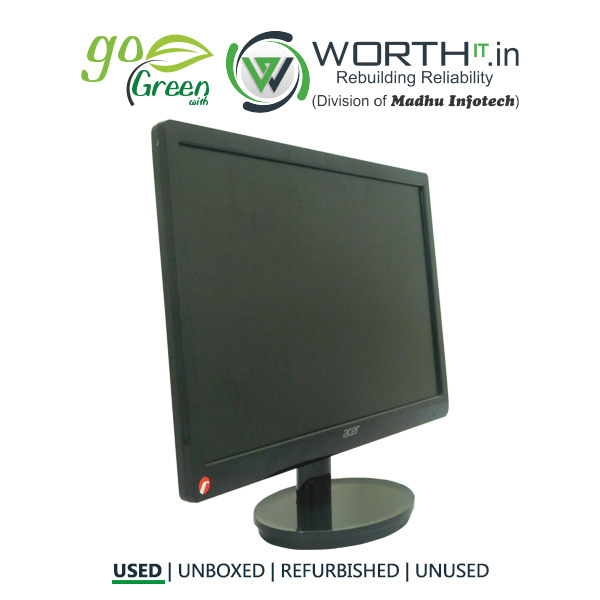 Refurbished Details Product is in perfectly working condition and no components have been repaired, only general servicing done.